Our planet is volcanic. All life emerged from volcanoes and their ash and yet they have the power to induce fear in all of us. In Virgil’s Aeneid, the entrance to the underworld was on Mount Vesuvius. Over a thousand years later, Dante Alighieri’s nine levels of Hell was inspired by volcanoes. As man’s understanding of the natural world advanced, volcanoes continued to inspire awe, but became a backdrop to works of fiction and science fiction. In Jules Verne’s Journey to the Centre of the Earth, Professor Lidenbrock and his friends descend into Iceland’s Snæfellsjökull volcano, have many adventures and then are spat out of another volcano on the Italian island of Stromboli. In The Crater James Fenimore Cooper, the author of The Last of the Mohicans, wrote of shipwrecked sailors who set up a utopia on a volcanic island. How many people know that the Tambora volcano in Indonesia was the genesis for Mary Shelley’s Frankenstein? In 1816 Mary, her husband, Percy Bysshe Shelley and Lord Byron were confined to a cottage in the Swiss Alps because of bad weather brought about by Tambora’s eruption the year before. Byron suggested a ghost story competition and this resulted in Mary conceiving her monster. 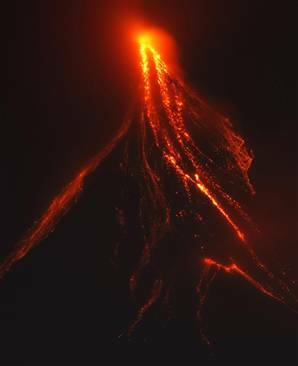 In our own era, volcanoes continue to erupt in fiction. One of the great works of twentieth-century literature, Malcolm Lowry’s Under the Volcano, tells the story of an alcoholic British consul in the Mexican town of Quauhnahuac on the Day of the Dead. In Susan Sontag’s The Volcano, Sir William Hamilton’s wife, Emma, becomes the lover of Horatio Nelson under a steaming Vesuvius. Isabel Allende’s memoir, My Invented Country, refers to her native Chile “shaken by the sighs of hundreds of volcanoes”. Her fellow countryman, the poet Pablo Neruda, wrote, "Give me silence, water, hope. Give me struggle, iron, volcanoes". Volcanoes have given the earth life. They have also given us a few stories.